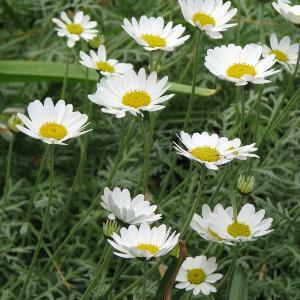 Anthemis punctata cupaniana is a woody-based, evergreen perennial forming a loose mat to 30cm in height, with finely dissected silvery foliage and yellow-centred white daisies 6cm in width. Known also as Sicilian chamomile, Anthemis punctata subsp. cupaniana, in summer is covered in long-lasting white daisies. 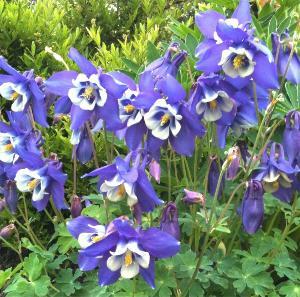 It is perfect for using to fill gaps in sunny borders and can also be grown in gravel gardens. 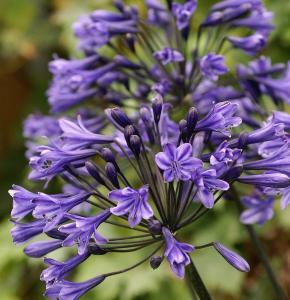 An indispensable drought tolerant stalwart of the dry garden. 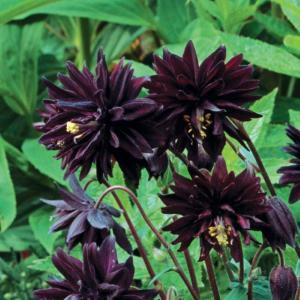 Aquilegia 'Black Barlow' is a delightful upright perennial to 90cm tall, with grey-green divided leaves and distinctive, pompon-like, deep purple flowers in early spring and summer. 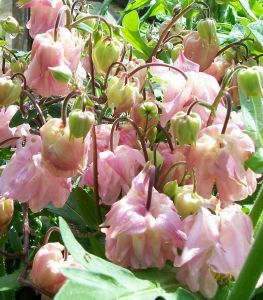 Aquilegia vulgaris 'Dorothy Rose', has exquisite and unusual pleated rose-pink flowers that are displayed high above glaucous-blue-green foliage. The unique hose-in-hose style blooms look like several flowers set inside of each other, resembling a ruffled dress. 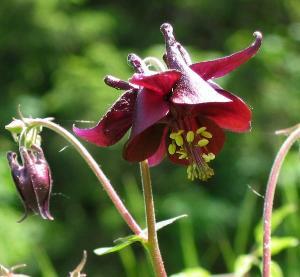 The spectacular colours are superb near the front of beds and borders. They can be used individually in small clumps, or massed together in combined groupings to create a stunning display of colour. Resistant to deer and rabbits.